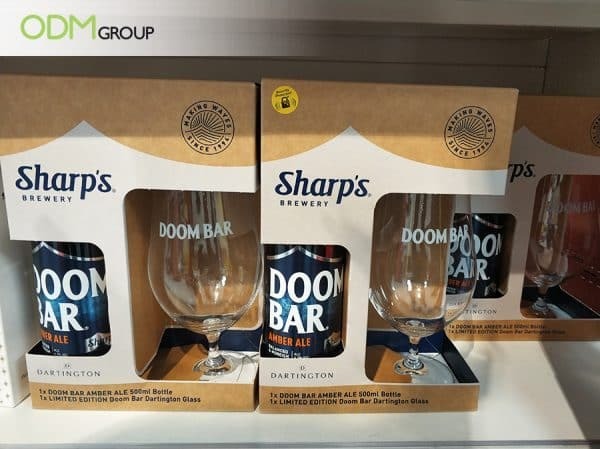 Sharp’s Brewery’s latest marketing campaign is one that is offering a GWP Beer Glass as a giveaway item. This promo beer glass is helping the brand gain traction in sales as it heightens brand visibility! Gift with purchase as your promotional method will totally create buzz within the busy retail environment as shoppers love to get freebies. 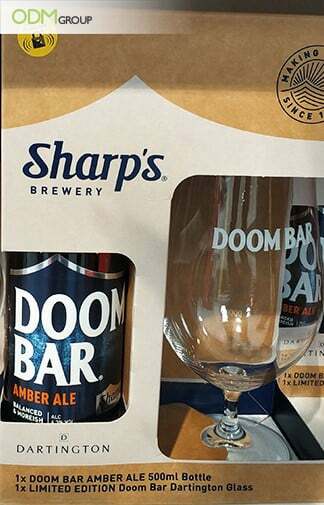 People can celebrate the end of the week with Doom Bar Amber Ale and their branded beer glass. This certainly creates a positive brand remembrance! What Makes The GWP Beer Glass So Attractive? Simple – Sometimes a simple and straightforward design is key to getting your message across. If you have some leftover marketing budget, why not consider adding a custom coaster too? Limited Edition – Often a limited edition item motivates people to get it before it goes out of stock. And due to the fear of missing out, shoppers will certainly be compelled to get the products before it’s too late. Therefore, the more scarce and unique a product is, the more highly wanted it becomes. So people will be tempted to grasp hold of the product regardless of whether they really need it. Higher Perceived Value – Compared to a brand that does not have any ongoing promotions, customers who are not brand conscious will have the tendency to try other brands offering a better deal. This is because products have higher perceived value and customers will think it will be more worthy of their money. LED Rotation Display – Other than a GWP Beer glass, why not leverage on the custom display to better showcase what your brand can offer? Bottle Necker – A bottle necker can provide more information about the product and brand for the curious minds or consumers new to the brand. Marketing Gift Glass Chess Set – Offering this as part of a giveaway prize can instill some sort of competitiveness to win it. At ODM, we have wide experience in the promotional product industry, specializing in product designing and manufacturing high-quality promotional products, packaging, and POS display units. We can also provide you with design services as our dedicated team of product designers at Mindsparkz will certainly help you with product brainstorming. Feel free to send us an inquiry today! Custom Wine Set For Celebration- if you think a scented bath foam will not go well with marketing drinks, then you’re wrong. Branded Beer Glass Giveaway By Stella Artois. Although this strategy has been used so many times before, what sets this one apart is the stylish design of the beer glass. Tips on Beer Merchandising in Vietnam To Stun The Crowd- Check out these useful tips to learn how to market like a pro! Beer Merchandising in Vietnam – Tips on How to Wow the Market!